I don’t know about you, but I love super frosty cold delicious drinks in the summer. There is nothing quite like an ice cold lemonade after working hard in the garden! 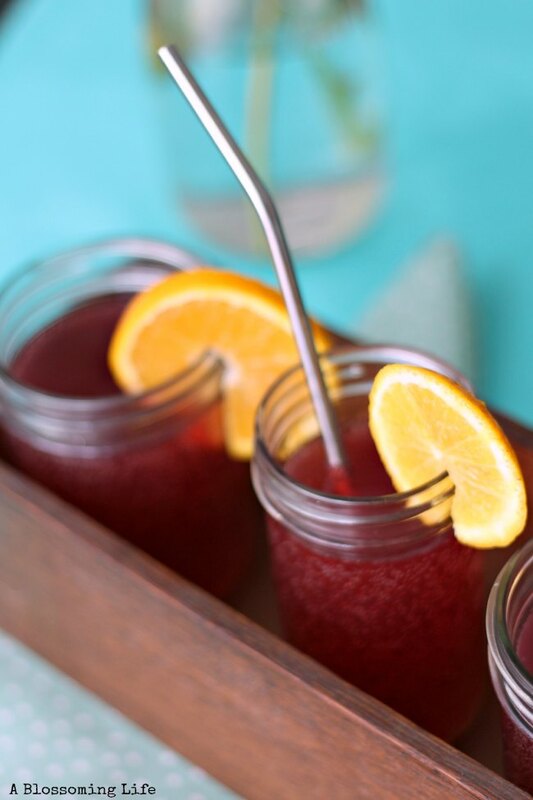 This drink is a wonderful twist on the classic lemonade. 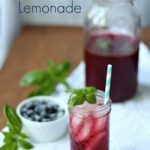 It all started when I went to a friends birthday party with Libby and started chatting with a women at the party about gardening things, blueberry season, yada yada, and she started talking about this amazing blueberry basil lemonade. In my mind I was thinking that it sounded fantastic right about now. The next day I started working on this delicious recipe to share with all of you! It’s sweet and a little sour, just like lemonade should be, plus the fresh basil adds a wonderful unique touch! I’m kind of obsessed now! It’s super easy to throw together! I used my favorite Organic Lemonade from Santa Cruz (I got on sale for $1 at Kroger FYI), local berries, and basil straight from the garden! A delicious twist on the classic lemonade. 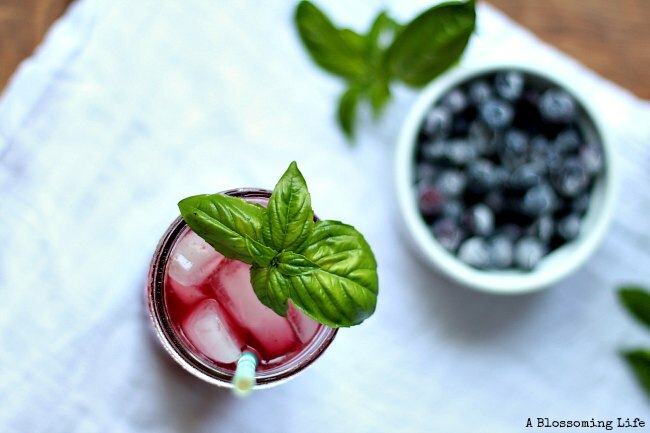 This sweet and refreshing lemonade with blueberries and fresh basil will definitely be a crowd pleaser! Place blueberries and a few splashes of lemonade into a blender and blend until blueberries are puree. Add berry mixture to the rest of the lemonade. Wash a handful of basil. With your hands slightly tear and rough up the basil. Add basil to lemonade and refrigerate mix for at least 2-3 hours or overnight. Strain out blueberries and basil. 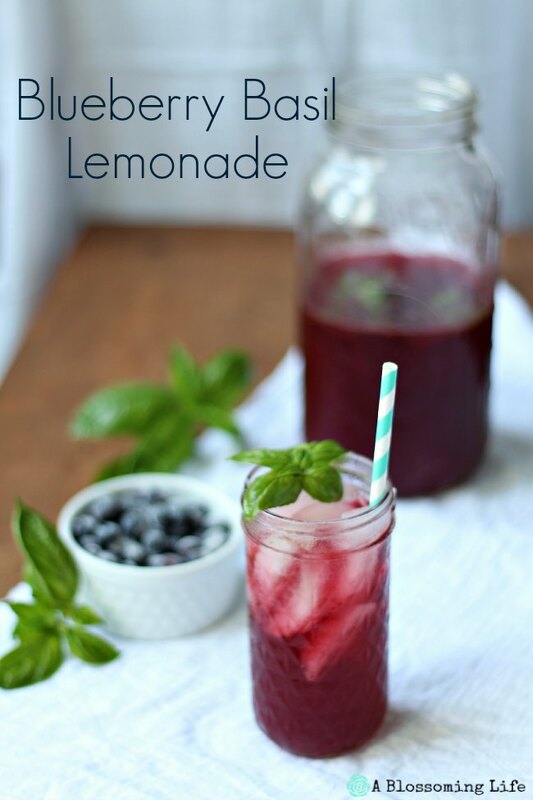 Enjoy your refreshing blueberry basil lemonade or refrigerate for later. What is your favorite way to cool down after spending time outside? Mmm, blueberry and lemonade together? Sounds delicious! Love this! 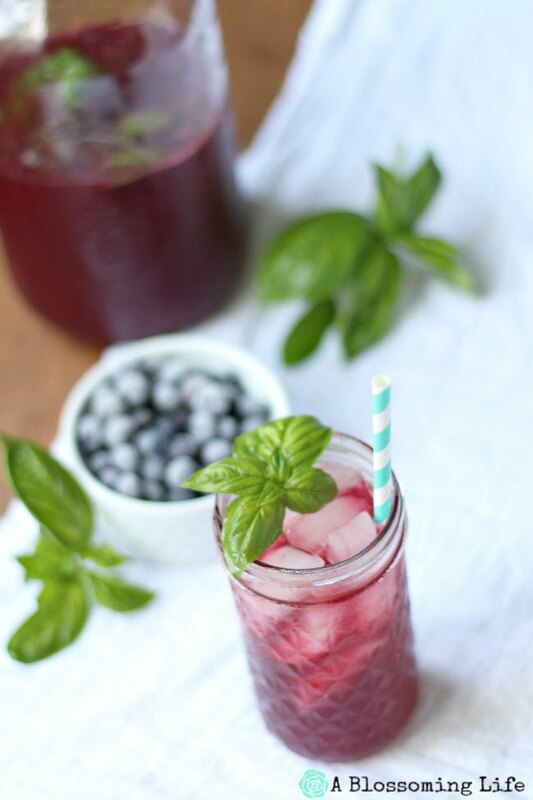 Blueberry, lemon and basil sound amazing together! Thank you Mallory! It sure is tasty. If you give it a try I hope you love it! My basil is threatening to take over my garden, I need to try this drink! Yum! I have been wanting to make this very drink for weeks now. You may have just given me the push I needed. We took the kids blue berry picking and have bags of fresh blueberries. 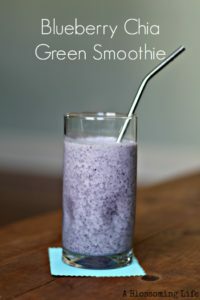 My husband and I have enjoyed an adult version of this- organic lemonade with vodka and a handful of frozen blueberries thrown in! 🙂 I stopped by from the Link Party Palooza. 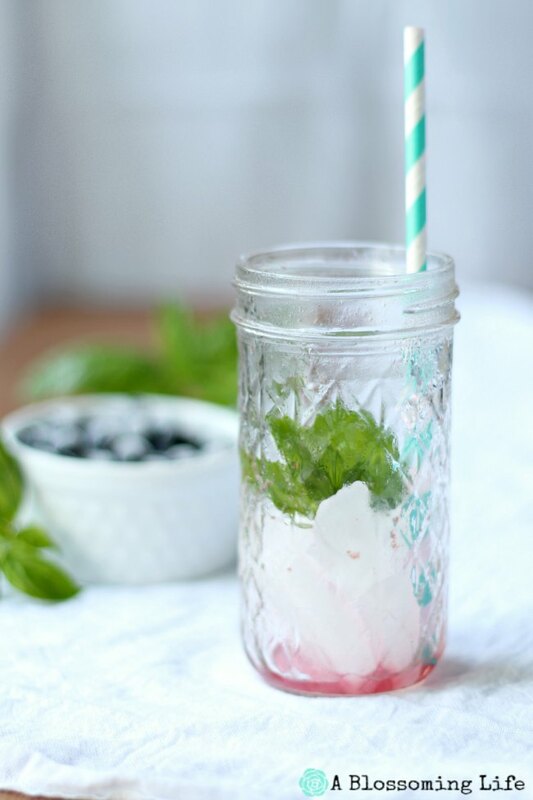 This looks so refreshing and yummy! And I just bought a bunch of blueberries now I know what I can make! Thanks for the great recipe!